We have become the most preferred choice for the buyers when it comes to buying 11.1 V 2200MAH Li-Ion Battery Pack (Li11122C3) as it is provided by us in all Lithium, Nickel, and lead based chemistries. 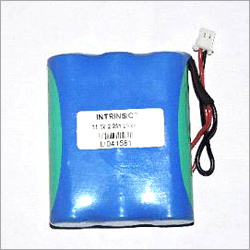 We are an experienced name, which is engaged in manufacturing, supplying and exporting Battery Pack. Obtain Battery Pack from us without any doubt as it is manufactured by us keeping in mind the requirements of industrial automation, power supply, marine, railways, defense, solar, wind power and many other industries.